To ensure a stable and engaging ride, the steel diamond backbone frame gives the CRF125F's chassis the perfect balance of rigidity and strength. The high suspension quality means bump absorption, ride quality and tracking are much improved. A steel swingarm works through Honda's Pro-Link system, and needle bearings have been used throughout to reduce friction. 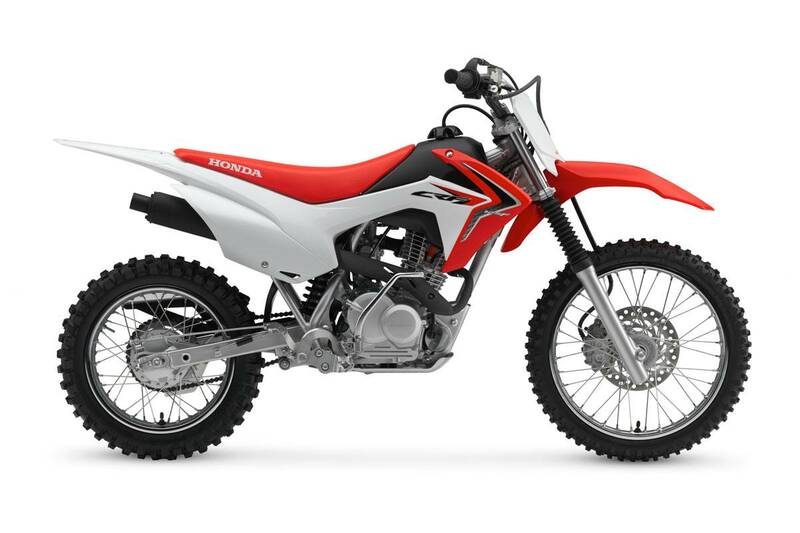 With styling cues taken from the cutting edge design of Honda's CRF450R and CRF250R, the CRF125FB is sure to be an instant hit with aspiring champions.